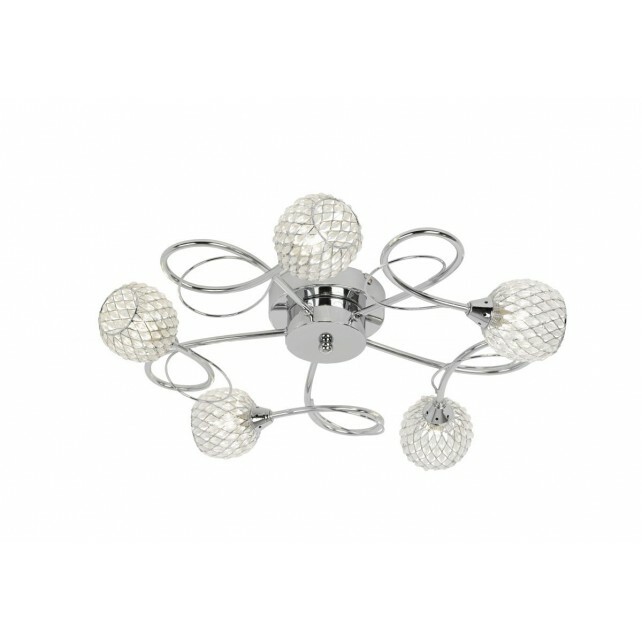 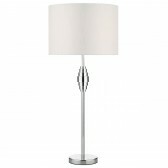 The Aherne ceiling light from Endon lighting, shows a stunning frame finished in a sleek polished chrome. The design features a neat ceiling plate, with 5 elegantly curved detailed arms holding glass beaded shades which are enhanced when illuminated. 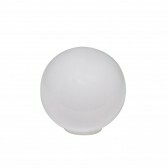 This beautiful semi-flush fitting would be suitable for almost anywhere around the home. 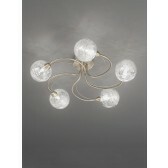 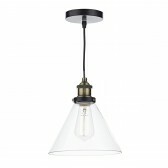 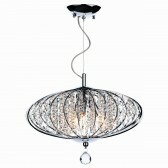 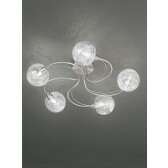 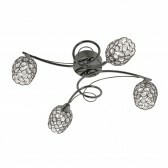 Add an accessory to your hallways, bedrooms or living room areas. 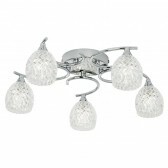 This fitting is also available in the 3 light.